UCC has ordered Internet Service Providers to block several news websites for refusing to register. 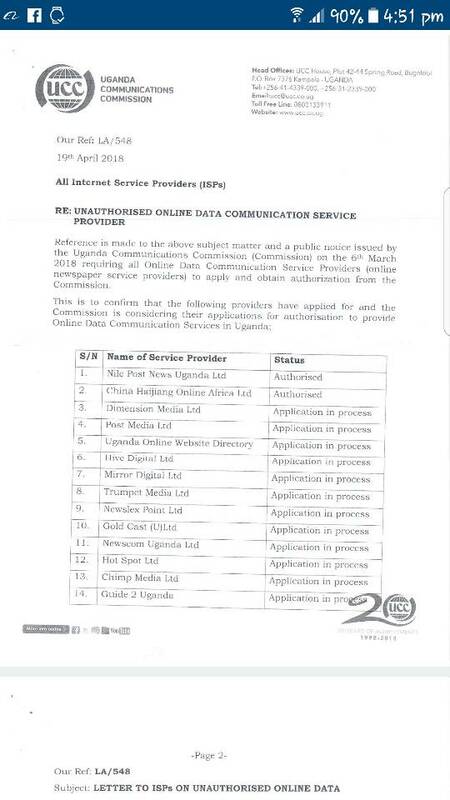 The Uganda Communications Commission (UCC) has directed Internet Service Providers to block several news websites for refusing to register with the communication regulator. In an April 19 letter signed by Mr Fred Otunnu, UCC lists PML Daily as one of the 14 online news websites that have registered or applied for registration and orders that those that have defied the March 6 directive be switched off. “The purpose of this letter is to direct you to immediately suspend the provision of carriage services to any online data communication service provider /electronic media news provider that is not listed above or has not presented an authorisation certificate or other express clearance from the Uganda Communications Commission,” reads in part the directive. UCC has stepped up efforts to regulate people and companies that provide online data services, ordering them to register. The communications regulator and Pay TV broadcasters are currently embroiled in a wrangled following a UCC directive requiring them to apply for fresh licences. 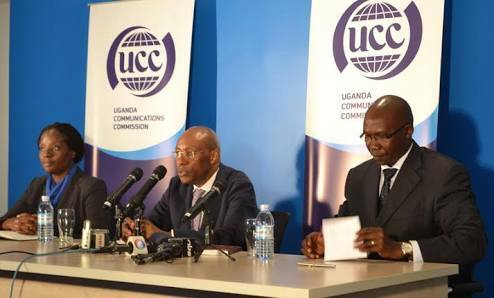 But the pay TV operators, in a joint statement, expressed surprise that UCC has declared them non-compliant yet the two groups have been engaged in discussions on ironing out some issues in the new guidelines, which they said are not friendly. They argued that one of the changes in the licensing framework requires them to pay Shs550m as annual license fees, up from the current Shs22 million. This, the operators say, is exorbitant since it will be paid alongside other regulatory fees such as 2 percent of the companies’ annual profits.